How safe is the seafood from parts of the Gulf? A local lab is working to find out. To eat or not to eat the seafood is a question the Connecticut Agricultural Experiment Station will help answer. The East Rock lab is one of a trio across the country testing the oil soaked seafood from the Gulf of Mexico, reports the New Haven Register. Local scientists are working together with the Food and Drug Administration to see if the food is contaminated. The first samples of shrimp arrived on Wednesday and had to be tested within 24 hours, according to the newspaper. “The point of doing the rapid 24-hour turnaround is to see if these areas of the Gulf can be reopened,” said Jason White, chief chemist in the AG station’s Analytical Chemistry Department. Since the April spill, the National Oceanic and Atmospheric Administration has closed off large areas of the Gulf to fishing. As expected, this has taken a heavy toll on the economy. So the plan is to have labs test the safety of the Gulf seafood as quickly as possible. White and others modified a test for pesticides in food over the last three weeks, then flew to the FDA’s Forensic Chemistry Center in Cincinnati Saturday to present their data and have the test approved, reported the paper. “We were trying to come up with something that lots and lots of labs can eventually do,” White told the Register. By Sept. 1, 18 more labs are expected to be employed in testing. Until then, the three startup labs including the one in Connecticut should be prepared to receive 20 samples a day, everyday for at least three months. Officials say the seafood includes oysters, crabs, shrimp and finfish. The shipments are sent out overnight and arrive at 9:30 a.m. 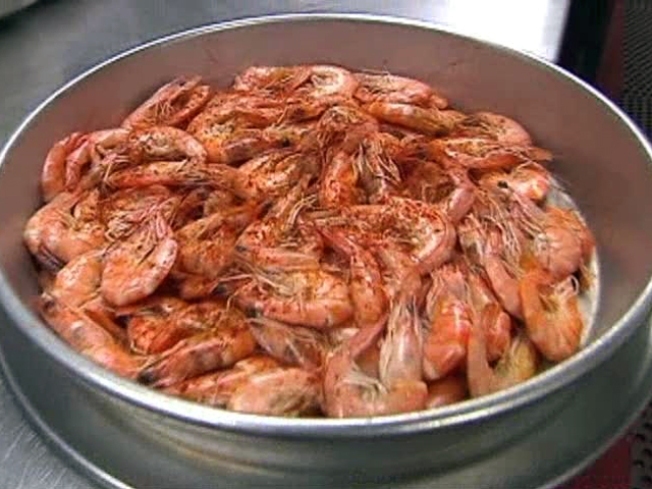 Results of the tests on the first batch of shrimp were sent to the FDA Thursday.